Abdul Bari sits in a refugee shelter in Manchester, where he survives on just $48 a week. Manchester, England (CNN) From the confines of his small, bleak room in Manchester, northern England, Abdul Bari spends much of his day gazing out the window worrying about his future. At night, when he manages to drift off to sleep, he suffers nightmares about being sent back to Afghanistan. 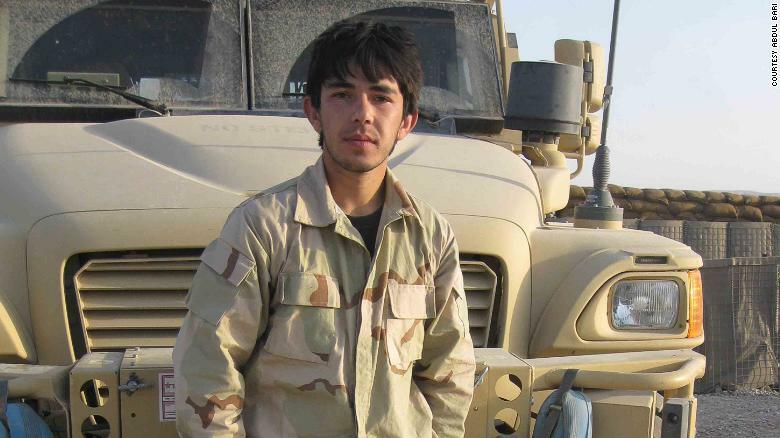 The 27-year-old from Kunduz in northern Afghanistan says he received death threats from the Taliban and fled to Britain, where he claimed asylum in 2015. Now the cases of those, like Bari, who served alongside the British military fighting the Taliban have received new attention after more than 150 interpreters wrote a letter to British Home Secretary Sajid Javid saying they’d been told to pay thousands of pounds in visa application fees if they wished to stay. The government, which has been under fire recently for its treatment of the so-called Windrush generation from Commonwealth countries, responded on Thursday, saying Afghan interpreters who served in 2012 and joined a 2014 relocation program could stay. An undated photo shows Abdul Bari during his time working for the British military. Even though he risked his life for the British Army, Bari’s asylum claim was rejected by the UK Home Office. Bari says despite the proof he gave, UK officials didn’t believe there were Taliban threats against him. He now faces removal but is challenging the decision in the courts. As he awaits a final decision about being removed from the UK, Bari now spends his days in a refugee shelter, where he gets just £35 ($48) a week for food, hygiene products and clothes. Bari is welcoming as he offers cups of tea — a kettle being the only electrical appliance in his room. Though he lives with refugees in the building, he longs for more interaction to relieve him of his isolation. “I need to study. I need to work. I need to improve my career. I can’t do anything like that at the moment,” he tells CNN. 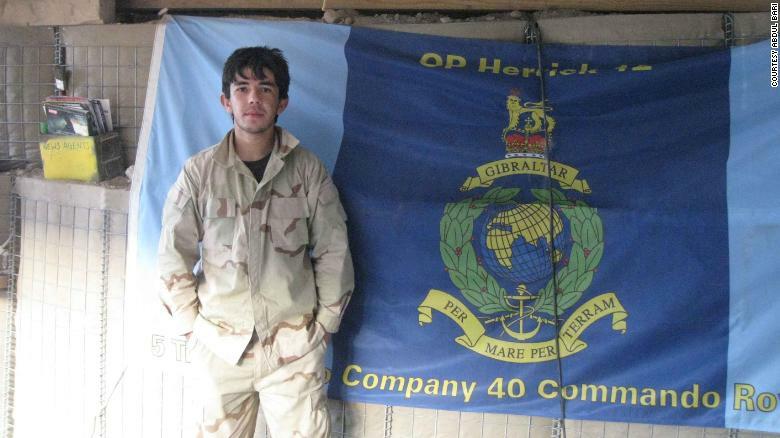 Things used to be so different for Bari, whose life changed 10 years ago when he applied to become an interpreter for the British Armed Forces in Kabul. Bari worked as an interpreter for UK forces between 2008 and 2010. As part of his role, Bari helped to defuse tensions between British forces and locals in the areas around the Afghan capital. Bari recalls how he used to take precautions to prevent him from being identified, such as covering his face and wearing sunglasses. They were uncomfortable, though, so he sometimes risked leaving his face exposed. All the same, officials refused to believe him. According to a UK government policy guidance issued this past April, Afghanistan is now safe to return to — despite the worsening security situation. On Monday, dozens were killed in a suicide attack in Kabul, the latest in a series of militant strikes that have taken place in the capital. ISIS claimed it carried out the attack. Campaigners say the Home Office’s decision to send asylum seekers back to a country like Afghanistan is a violation of the UK’s duty to protect citizens from countries where it is engaged. And it isn’t just ex-British Armed Forces workers who have been affected. Between January and March in 2014 to 2016, the UK has forcibly removed 1,387 refugees back to Afghanistan, according to Home Office statistics. The UK signed the 1951 Refugee Convention and the 1966 International Covenant on Civil and Political Rights, which put protections in place to prevent refugees from being sent back if their lives were at risk. Mohammed Saleem Iqbal has exhausted the appeals process and now faces removal from the UK. 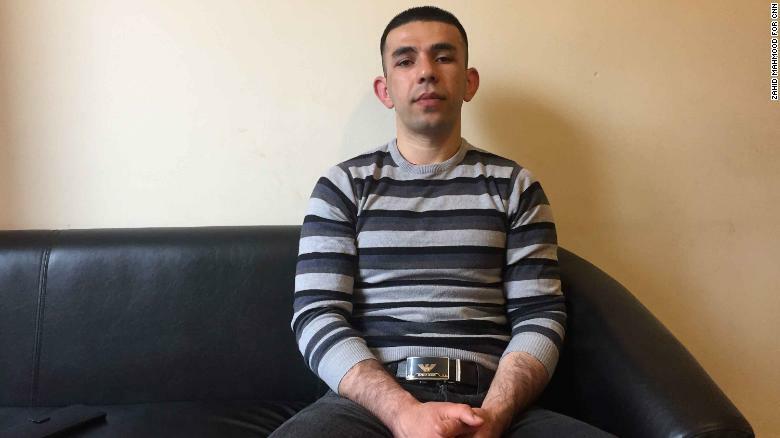 Another refugee affected by the Home Office’s decision to return asylum seekers to Afghanistan is Mohammed Saleem Iqbal, who says he was just 13 when his father was murdered by the Taliban in 2013 for refusing to join the group. He fled his hometown of Jalalabad on the advice of his uncle and traveled to the UK where he sought asylum the following year. His mother stayed in Kabul, but after the Taliban heard of Iqbal’s flight from Afghanistan, militants sent her a letter threatening to find Iqbal as they have “hands” everywhere, according to his London-based lawyer. 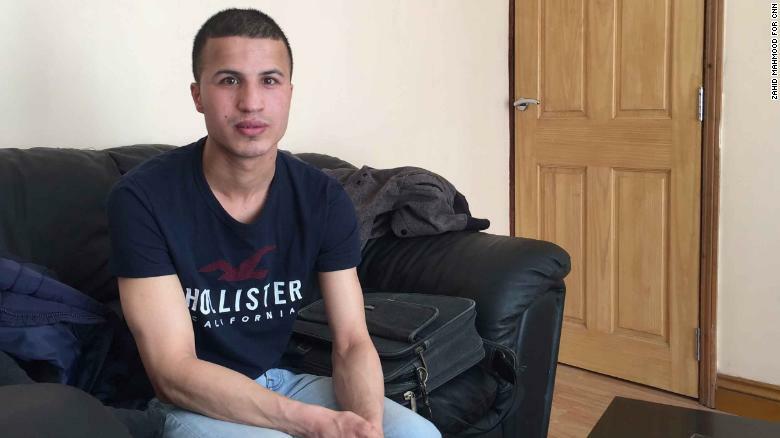 The Home Office told Iqbal, who’s now 18, that he must return to Afghanistan after his asylum claim was rejected. Although fighting in the country has intensified over the years, Afghanistan signed an arrangement in 2016 with other European countries to send Afghans back home. According to an Amnesty International report, Germany forcibly removed 3,440 Afghans in 2016, the highest number of any European nation. A document from the German Interior Ministry gives different figures, saying 3,300 Afghans “voluntarily” returned and only 67 were forcibly removed. And despite the dangerous climate in Kabul and other cities since then, there has been no let-up in the numbers being deported. Lisa Haeger, a spokeswoman for the German Interior Ministry, tells CNN that enforced removals will become necessary only if a failed asylum seeker does not voluntarily return. Germany is not the only European country to deport refugees back to Afghanistan. In the same Amnesty report, Norway had the highest number of forced returns back to Afghanistan in the first quarter of 2017. Sweden and Greece were also reported to be among European nations with the highest number of forced repatriations to Afghanistan. Liza Schuster, an Afghanistan researcher for City University in London, says the Kabul attacks prove that Afghanistan is not a suitable place to send deportees. “The insistence of the EU member states on returning people to the country, which is politically fragile and has a weakening economy, reveals much more about Europe than about Afghanistan. Bari and the other refugees, though, insist there is no safe way to go back and the precariousness of living in the UK is taking its toll. CNN’s Nadine Schmidt in Berlin contributed to this report.